Who doesn’t love a good ole’ bloody mary? 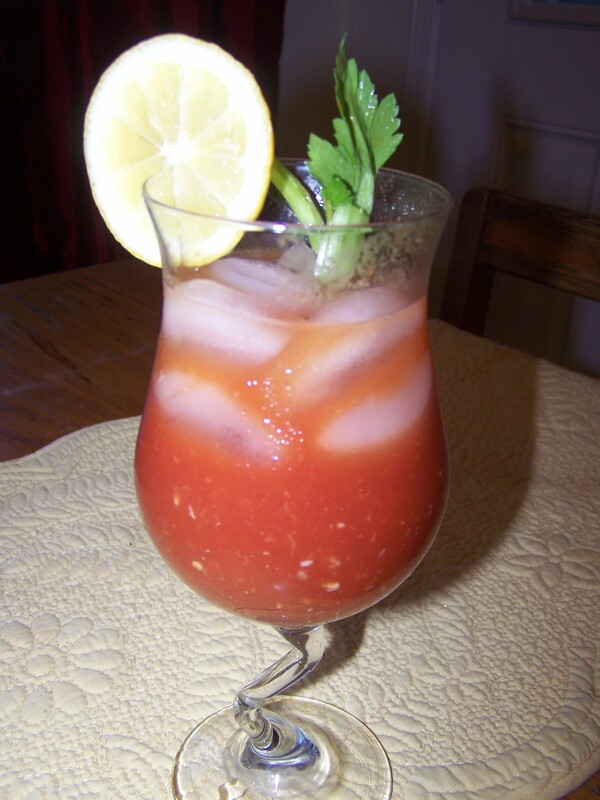 The peppery, tomato flavored drink is great for entertaining or sipping on solo. I found this recipe in the January/February 2011 issue of Food Network magazine, but instead of using vodka which is normally the alcohol in bloody marys, tequila is the star ingredient. Deemed Bloody Marias, this drink is a sure refreshment. Share with me your favorite cocktail! Indeed! Ha, ha! Thanks for watching. Lawd hab mercy that video did it for me! Look out Paula Dean… RB Fulks gunnin’ for your job! Thank you! Worcestershire sauce is a fermented liquid condiment primarily used to flavor meat or fish dishes. I’ve often used it to flavor hamburgers. It’s available in most American grocery stores. Where do you live? I am in India, Kerala. Tht’s why!! Nice one Rebe 🙂 how ever what is worcestershire sauce. I afraid i wont get it here! !